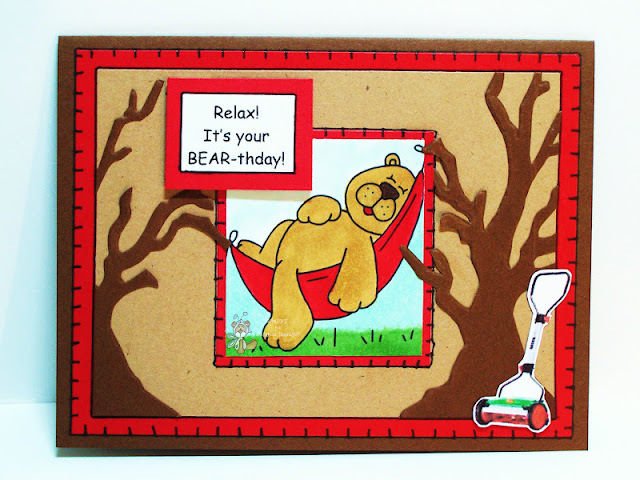 Today is Oldie but Goody day for all of us at Catch the Bug and Bugaboo Stamps! On Thursdays, the Bugaboo DT showcase some of Bugaboo Stamps fabulous digital stamps that are NOT a part of the current release! The cute Hammock Bear on my card below is from Bugaboo Stamps Singles collection. I hope you like it! So very cute! Precious image and a wonderful card. Super card, love the trees. Thanks for joining us at LCI this time. Such a sweet image and love the layout and colours. Thanks for joining us at LCI Challenge this fortnight.